On January 15th, Davler Media Group’s Metrosource honoured 20 LGBTQ individuals and organizations, as part of its People We Love programme, at 48 Lounge in Manhattan. The gala is the culmination of a two-month People We Love celebration that included a feature in Metrosource, and weekly digital highlights online, through email, and on social media, to honour the people and organisations that made important contributions to the LGBTQ community, through their philanthropy, service, and building awareness. Honourees in attendance included CNN’s Don Lemon, Author Michael Musto, NYC & CO’s Fred Dixon, Blogger Kenneth Walsh from Kenneth in the 212, Drag Icons Tina Burner, community leader Leo Preziosi Jr., Dr. Evan Goldstein, as well as representatives from Lambda Legal, SAGE, and The Point Foundation. Over 200 VIP guests attended the invite-only gala, including Project Runway alumnus, Mondo Guerra, actor Ryan Raftery, and Fire Island cast member, Justin T. Russo. Metrosource editors, Paul Hagen and Kevin Phinney, introduced CNN’s Don Lemon to speak at the event. “It was, indeed, an honor. It was very unexpected, but appreciated. Believe it or not, I don’t like being the center of attention in that way, but I do have to say this honor is amazing because of what it has to do with the issue of LGBT rights in this country,” said Lemon. After Lemon’s remarks, Kalvin Leveille, Kim Watson, and Michelle Lopez from NY State Department of Health’s “Undetectable = Untransmittable” announced the nominees for Legendary NYC Drag Queen We Love, before revealing Tina Burner as the winner of the first ever “Slayletto” award. “Thank you to all the Metrosource family and readers! It’s especially an honor knowing that Sherry Vine had to move away cause I won“, Burner joked. “I view drag as an opportunity to carry conversations and push certain messages. It’s a responsibility and I use it as a platform to promote my two mantras: ‘treat everyone how you want to be treated’ and ‘we are stronger as a community than we are as a nation’. Stick together and stand for your beliefs. Be the change, don’t sit and wait for it”, said Burner. Tina Burner’s win will be announced in the February/March issue of Metrosource. For 16 years running, Metrosource has ended each year with People We Love. 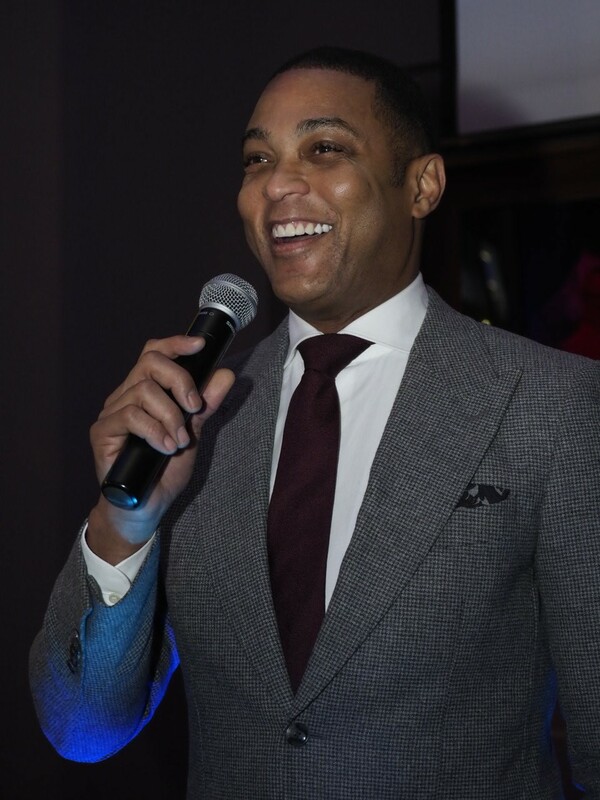 2018’s People We Love list was spearheaded by veteran CNN anchor, Don Lemon, an openly-gay journalist, who has demonstrated exceptional courage in ongoing battles between President Trump and the media at large. Other honourees featured in People We Love 2018 included filmmaker John Waters, musician and actress, Janelle Monáe, actress, Samira Wiley of Orange is the New Black and The Handmaid’s Tale, veteran British actor, Rupert Everett, comedians, Cameron Esposito and Hannah Gadsby, and new media figures like YouTube satirist, Randy Rainbow. People We Love also cast a spotlight on Olympian and Dancing with the Stars winner, Adam Rippon, the entire cast and creative team of the FX series, Pose, and NYC Promoter, Brandon Voss. Additionally, the LGBTQ community was invited to participate by voting in the first-ever ‘audience choice’ contest, to award one drag-queen legend the title of Legendary NYC Drag Queen We Love. Nominees included Sherry Vine, Hedda Lettuce, Lypsinka, Shequida, Tina Burner, and Joey Arias.